Sleek tapered-legged counter height chairs are a marvelous fit for any kitchen or dining area. Sturdy wood seat that are perfect for home use or bar stools. Dining room counter stools constructed of all hardwood. Kitchen dining chair finished in Mahogany color. Casual Dining counter height chairs. Slatted chair back feature. Assembly Required. 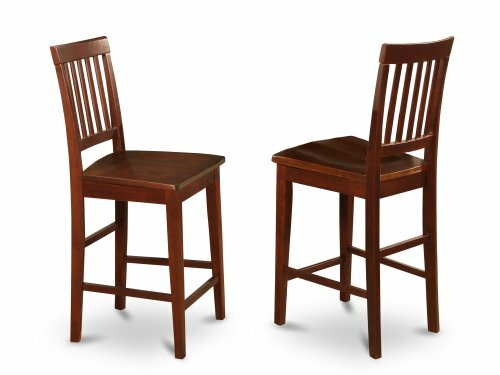 Include: Set of 2 Vernon Counter Stools with Wood Seat - Mahogany Finish.